ople to People Ambassador Programs back into the once war-torn nation of Vietnam. Why did our delegation members decide to go back? The answers are as varied as the twenty-one people. Some in our delegation, as you might imagine, went back to bury some ghosts of the past. Others went because it was an adventure. Then there were the wives of the Vietnam veterans who went for their own reasons. But the most compelling of all were two Vietnamese gentlemen who returned to their homeland. One left after being a lawyer in the South, and another left after being a Colonel in the South Vietnamese Army and having spent ten years in a reeducation camp of the North Vietnamese Army after the war. He went back to see his 92-year-old mother, perhaps for the last time. g is the story of our eleven days “In Country.” Those who went to bury the past found that the past had long since been replaced with shops, friendly people, and, yes, even semi-official capitalism. What our delegation found was a new Vietnam – a country that not only forgave, but also did not seem to remember. We found a country that was on two parallel tracks – one for the rice farmers and the past and one that was alive with Western energy and demanding a better future. The same could be said for its legal system, which is evolving daily. After all, the “open door policy” is based on the need to be a partner in the world community. Today, there are two Vietnams. One is the Vietnam of the past, and the other is the Vietnam of the future. The market forces are too great to stop the inevitable future, but it is still nice to see the two living side by side. On the one hand, there is an old Vietnamese Woman with her sun hat carrying a pole with food at both ends, on the other; there are modern girls and boys on motorcycles racing to the future. In spite of its many past wars, we found a Vietnam that was gently going from one era into another. Perhaps this was what we found the most remarkable and our greatest surprise. In the end, after the ups and downs of the journey, we all left with a smile. The current Vietnamese legal system is expanding rapidly, as if the role of the lawyers. The Chairman of the Hanoi Bar Association, Nguyen Trong Ty, told us that lawyers were not needed when the country had a controlled economy. But, with the Open Door Policy, the need for legal services is increasing. Private businesses began in the mid 90’s and with the growth of the private sector has come a rapidly evolving legal system and the need for lawyers. Consequently, the bar associations in Hanoi and Ho Chi Minh City are rapidly expanding, as are the number of lawyers in Vietnam. Their numbers are quite small compared to American standards, but it is exciting to see the beginning of a legal system based on the rule of law. In fact, when we were there, the National Assembly was amending the Vietnamese Civil Procedure Code. Some of our delegates were struck with the similarities, at least in concept, with our legal system. For example, the lawyers of Vietnam have a Board of Legal Ethics. They must be truthful and serve the best interest of the client. Their bar associations seem similar to ours, with membership dues and a board of directors elected by the members. As for the people, the Vietnamese historically have had a deep sense of national identity. What Americans refer to as the “Vietnam War” they refer to as the “American War.” Memories of this war, for the Vietnamese, are rapidly fading. In fact, a majority of the Vietnamese people were born after the war, and they genuinely like Americans. 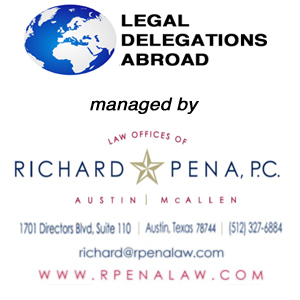 Enter your email address to follow Legal Delegations Abroad and receive notifications of new posts by email.